Overspent for Christmas 2015 and feeling the strain of debt in 2016? Well you’re not the only one. December saw more borrowed before Christmas than in any month for seven years and 35% of people borrowed to pay for presents and 23% for food. It is likely that more than 2.5million people will now be seeking debt advice in the New Year because of the financial strain of Christmas 2015. Don’t panic. If you too are suffering from Christmas overspending or overspending in 2015 in general now is the time to turn your situation around with our simple three New Year’s debt tips. A simple place to start when beginning to tackle your financial problems is looking at your budget. If you don’t already budget the New Year is a great time to start! Why not get your bank statements for the last 3 months and review them. When looking at them you can highlight your essential expenditure such as council tax, utility bills, rent and look at where you may be overspending and what luxuries you can cut back on. 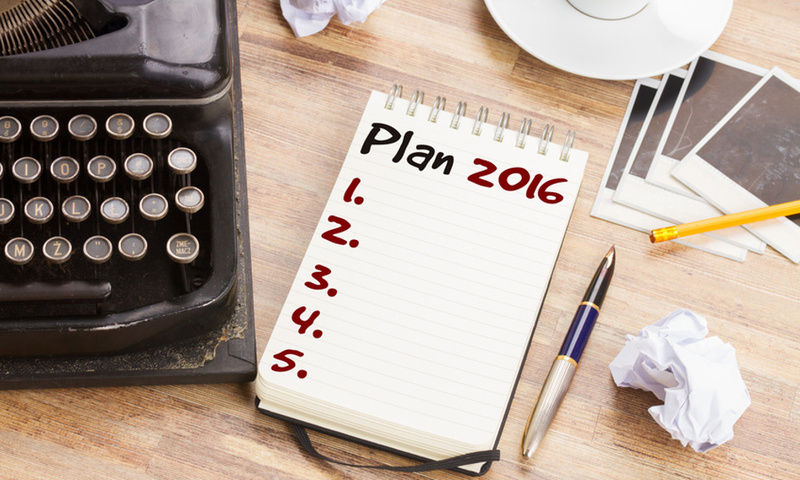 Remember 2016 is the year to spend less and pay back more if you wish to get on top of your finances! Once you have worked out your income and essential outgoings you can look what you have left at the end of the month which can be used to help pay off your debts. To be on top of your debts in 2016 you will need a clear picture of your debt situation to know how best to deal with it. Make sure you open all statements you receive for any credit cards, loans, overdrafts or any other debts then start to make a list of these - with up to date outstanding balances and repayment dates - if there are any. Another way to know your debt situation is by taking a look at your credit report. You can access a free report from Noddle or ClearScore and also get tips on ways to improve your score. By looking at your credit report you may see debts you have overlooked and add these to your list. Once you have an idea of all your debts and the total amount of debt you owe you can start exploring which debt solution options may be best for you such as; debt management plan (DMP), a Debt Relief Order, IVA, Bankruptcy or other. Remember it is important to know your debt situation clearly when choosing a debt solution as picking the wrong strategy could cost you time and money in the future. Once you are in a position where you feel you have regained control of your debt situation it is time to look at the next step to ensure better financial wellbeing in the future - and that is saving. Building a financial safety net can help prevent or lessen any future debt situation. Everyone experiences unexpected bills and if you have a safety net this could be used instead of taking out a debt to cover them. Remember taking money from your savings is interest free and therefore will save you money in the long run. If you have a savings account, interest will also be added to your savings so you will be able to make a bit of money too! Some final points to bear in mind! •	Act today! Whether you take action yourself or seek advice the earlier you do the quicker and easier your problems will be to resolve. •	Know your priorities. Be aware which debts have the most serious consequences; these are priority debts such as rent which failure to pay could lead to eviction but remember it is important arrangements are made for all debts. •	Communicate with creditors. By contacting creditors you are giving them the opportunity to help by understanding your situation and your options. You may also be able to avoid your debt being passed to a debt collection agency which can lead to further stress and an advers affect to your credit file. •	Be transparent. When dealing with creditors or seeking advice give the correct details of your financial situation, as those dealing with your debts will then be able to advise you in the best way, based on your true circumstances. •	Don’t use credit cards or pay day loans to make ends meet. Review your financial situation and see if you’re able to cut back on spending instead or look at a debt solution which will reduce your monthly debt burden. •	Spend sensibly. Retailers and advertisers will still be playing the same tricks in 2016 to try and make us part with our cash but don’t be tempted and only spend what you know you can afford. Finally when looking at dealing with your debts if you wish to seek further help don’t use a fee paying commercial debt management company as there are so many free help options including Fair Money Advice! If you would like to seek further specialist help for your debts in 2016 you can contact us on 020 8988 0627 to see how we can help.